The Colorado Columbine Chapter of the American Needlepoint Guild will next meet on Monday, September 17, 2018 at 6:30 p.m. at Bethany Lutheran Church. After a lovely summer break, members will reconvene to see a preview of the 2018-2019 classes & projects. A special Show & Tell: Bring a very favorite piece of needlepoint to show and share! We want to hear why it speaks to the heart, no matter whether you stitched it or grandma did. We all love, love, love needlepoint, so there will never be a more appreciative audience for your efforts! 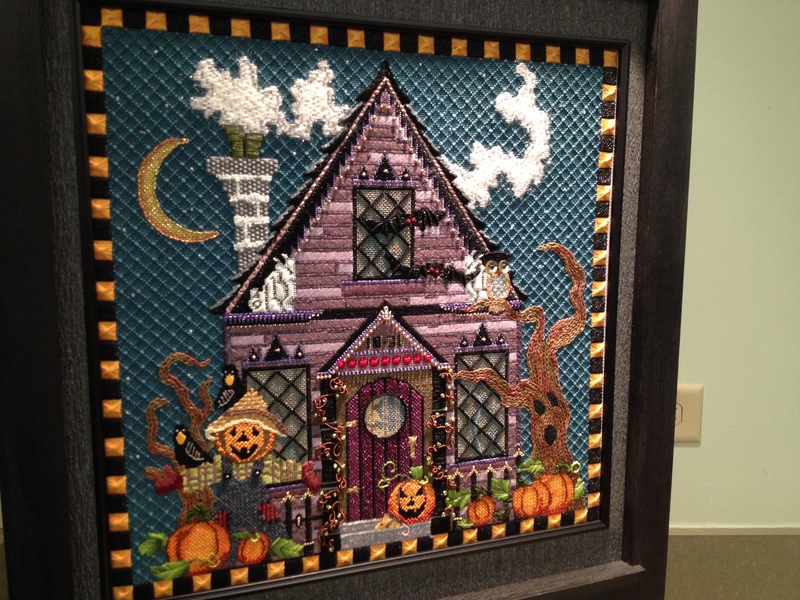 The spectacular Halloween fire screen above, stitched by a member, was a showstopper! Will it make the cut as the stitcher’s favorite? Can’t wait to see!